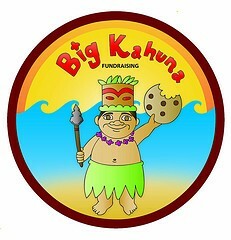 9/24 - All Big Kahuna fundraiser orders are due. 9/26 - PTA Reflections kick off at 5:30 in the cafe followed by the Cody Fisher Magic Show & PTA Membership drive. This week our students participated in our very first assembly. This assembly was our kick off for the Big Kahuna school fundraiser! The brochure has several items available to sell, such as Cookie Dough variety packs, the new kitchen collection, gift wrapping, & all sorts of wonderful desserts. Keller Harvel teachers are the reason that our school is so great. When asked what they would like our fundraiser to be used for, their focus was on one of our campus goals…integrating more technology in the classrooms. It is with great pleasure and excitement to share that all funds raised will go towards the purchase of laptop computers. The goal is to have one laptop cart for each grade level so that each grade level has the freedom to use the laptops more often! We currently have 2 laptop carts and would like to add at least 3 more. Students are able to earn prizes as well but again our focus is on our overall goal. There is more information in the packet about those prizes. Last year was our best year of fundraising. With your help, we raised $16,000 and were able to purchase iPad minis! Thank you! This year with your help, we hope to double that! Online orders and online donations are an option for all of our families too. Just go to www.shop.bigkahunafun.com Our school id is 1022. When asked for the student ID number, look for the number in the upper left hand corner of the order form. Please remember to turn your orders in by September 24th. The date of delivery will be on October 21st. You will be able to pick items up from our cafeteria. 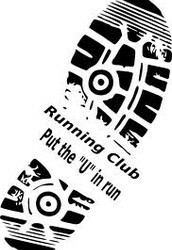 Our focus will be promoting FUN, FITNESS, and FELLOWSHIP within our school community! 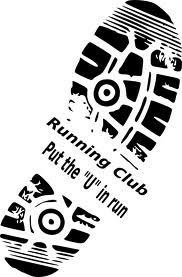 Running Club will meet on Mondays 3:00-3:45, beginning Monday, October 6, 2014. Students will run/walk laps around the back playing field. Students must be picked up by 3:45. Students picked up after 3:45 on multiple occurrences may be dismissed from the club. Click HERE to register. For the safety of our students and staff, we ask that you not drop off students in the parking lot and have them walk unattended. Please park in the lot and walk with your child to the crosswalk. If you are unable to get out of your vehicle, please drive through the drop off line from Norma Lane. Also please wait to change lanes in the front loop until after you have passed the crosswalk to change lanes. We have staff members in the center lane to assist your children and crossing lanes puts the staff member’s safety in jeopardy. You may have seen me in the dismissal line Friday on the other side of the crosswalk. I was there to help remind all parents to use the designated crosswalk when walking to and from the parking lot. Many parents are crossing the drive behind our crosswalk and our staff member who is on crosswalk duty cannot see you when you are walking through traffic. Please walk to the crosswalk area and wait for traffic to be stopped. 4th grade teacher Kelly Mickler gets a high five! She recently earned funding at DonorsChoose.org for a classroom project called "Exercise Balls Help Us Bounce into Learning". Mrs. Mickler shared, "When a child sits on a ball chair, they are able to direct their natural kinesthetic energy and need for movement in a positive way, because the child on a ball chair has to constantly move his body on the chair to maintain his balance." 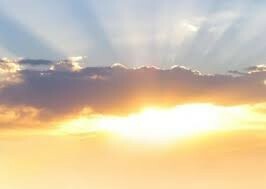 See why donors gave by clicking HERE. On August 29th, Keller ISD celebrated National College Colors Day. 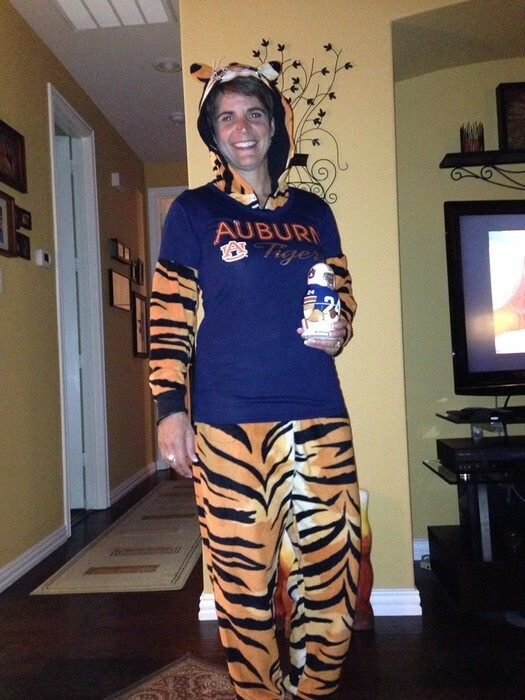 Students and staff were encouraged to wear their favorite college colors. The district also added a little friendly competition to the day by recognizing the most Spirited Elementary student & staff member in the district. 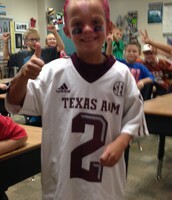 Keller Harvel has A LOT of spirit! Ms. Susan Sharp's 2nd grade student Jackson Hartnett and 1st grade teacher Cathy Mixson were both "crowned" as THE MOST SPIRITED ELEMENTARY STUDENT AND STAFF MEMBER in the district! Mrs. Eriksen was also given an honorable mention as well. 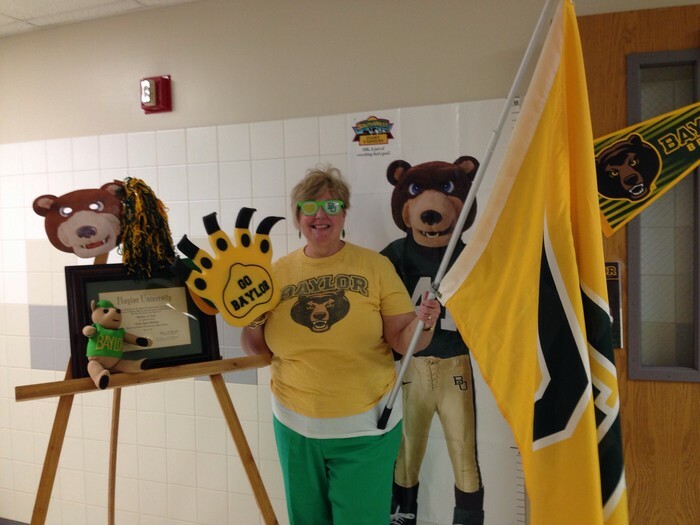 Mrs. Mixson's prize was a new Baylor lanyard. Jackson received a Texas A&M pennant. Congratuations to you both! 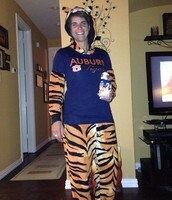 Mrs. Mixson has been selected as THE most spirited Elementary employee in the district! 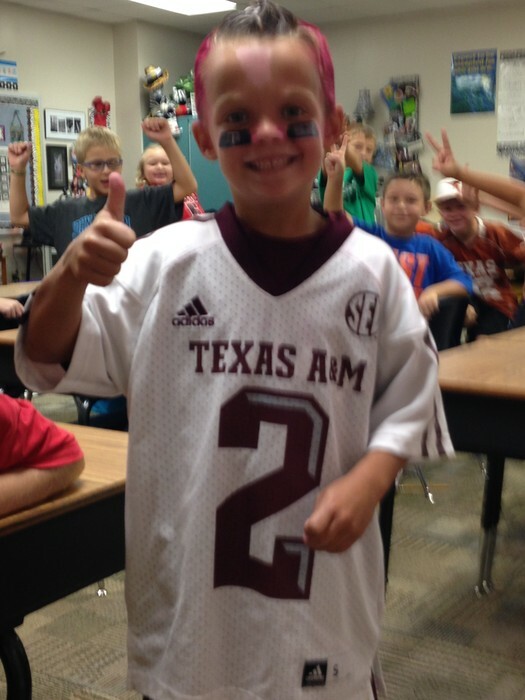 2nd grader Jackson Hartnett has been selected as THE most spirited Elementary student in the district! Jackson is in Susan Sharp's class. Keller ISD Health Services is launching its Take the First STEP Together initiative September 15 through October 10 to emphasize the importance of Exercise, Nutrition, Water, and a Positive Life to a healthy lifestyle. Campuses will be focusing on each component for a week at a time from September 15 through October 10 which will involve various campus activities and contests. The Take the First STEP Together event will also feature a District-wide Healthy Bingo Challenge. Students will receive Bingo cards on Monday, September 15 and are asked to return them to their campus on October 10. Popcorn pushups - put a small bowl of popcorn on the floor. Lower yourself down and stick out your tongue to get a piece of popcorn with each pushup. Wheelbarrow, Crab, and Bear-walk races - These tough positions mean you get a real workout. Headstands - Great for the core muscles and gets blood going to the brain. Pillow fight - No explanation needed. So join with Keller ISD this fall as we encourage our students to live a healthier lifestyle through Exercise, Nutrition, Water, and Positive Living! Let's Take the First STEP... Together! Creating amazing writers: Our teachers will be implementing Writer's Workshop during Language Arts time. The most important thing you can do is to recognize that your child is an AUTHOR! They have a story to share! Encourage your child to tell their story. Accelerating our knowledge in Math - The Math TEKS have been updated and we will be studying those changes at each grade level and invite you to join us during the year to hear more about what your child is learning. Click HERE for more information about the Math Investigations curriculum. 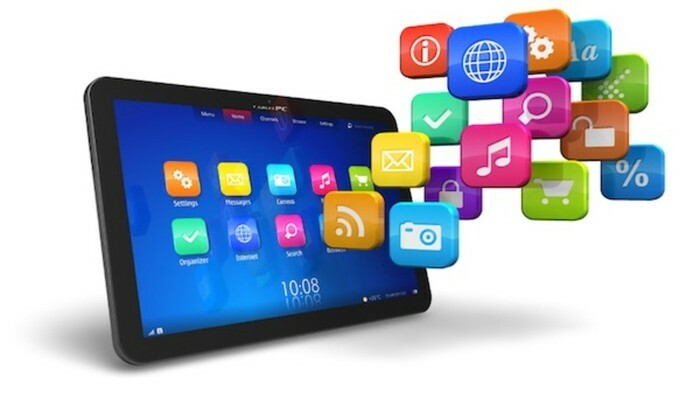 Learning new & innovative ways to integrate technology in our lessons - We will take more time this year meeting with our district's media specialists as well as working together to find more ways to put our existing technology in the hand of our students. What CAN you do to help? Do you have a talent that you would like to share with other parents, teachers or students? Please let us know...we would love to hear from you. Look for our Parent Ed courses this year too to learn more. Topics we plan to cover include a Dyslexia simulation workshop, Writing, Math TEKS/Investigations and Technology Integration. I encourage you to visit with your child's teacher this year about these areas and look for opportunities to join us. 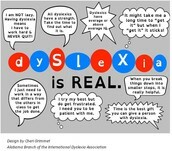 Keller Harvel PTA member, Jessica Bryant is helping to organize our very first Dyslexia Simulation. 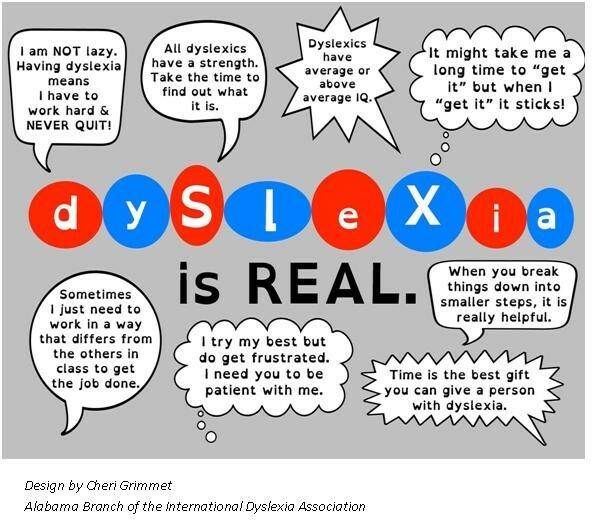 We are teaming up with the Shelton School to learn more about Dyslexia and what a student with dyslexic tendencies sees when he or she is reading. You and the teachers of Keller Harvel will all be invited to participate. Look for more information here in the newsletter soon. 4th grade objective TEKS 4.1C, states that students can select tools, including real objects, manipulatives, paper and pencil, and technology as appropriate, and techniques, including mental math, estimation,and number sense as appropriate, to solve problems. Here is an example of a number sense strategy 4th grade students are learning more about in Math. Mrs. Underwood recently shared this with her students and families. The "grid method" simply shows the relationship of place value, i.e. the value of each digit in a number when multiplying two 2-digit numbers. Please join us at one of the three opportunities to learn about the digital resources that are used in Keller ISD. What topics will we learn about? New classes every 6 weeks. 20 students will be able to sign up at at a time. Students may sign up beginning Sept. 22 at 7:30 right outside the Art room door. When - Dates and sign up information will be shared soon. Registration information will be shared soon. Friday, Sept. 26th 6:30pm - The Magic of Membership - a magic show that the whole family will love! We hope to see you there! Thursday, Oct. 9th 5:45pm - PTA general meeting & Math Night - Dr. Reid will be at our school to answer any questions regarding the upcoming bond election. You won’t want to miss it. Following Dr. Reid, we will start our fun night of math! For more information about our PTA please click HERE . 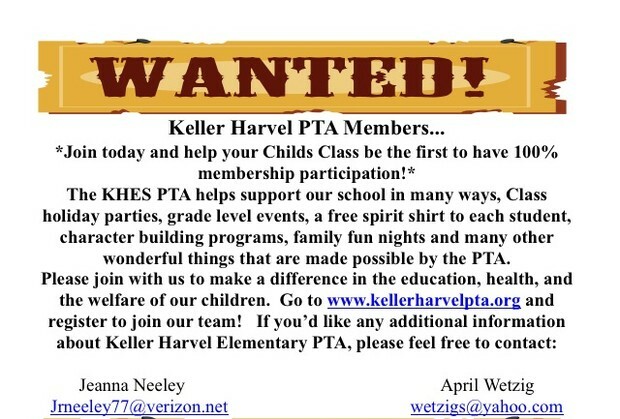 Whether you are looking to volunteer your time on campus or just want to know how to show your support, the Keller Harvel PTA website has all the information you need. PTA President April Wetzig and the entire PTA Board truly loves the teachers & students at KHES. Please join us this year. 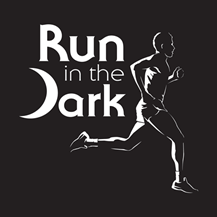 The 15th Annual Run In the Dark event is held by Community Storehouse. It features a 5K and 1-mile Fun Run being held at Fort Worth Alliance Airport on Saturday, September 20th, 2014. Over 2,800 runners and 2,500 spectators participated in the 2013 Run. It is only with the generosity of sponsorships and donations that we are able to host such an event which allows us to fulfill our mission. The event is held to raise awareness and funds to help kids in the Keller and Northwest Independent School Districts succeed in school through out the year. Click HERE for registration information. 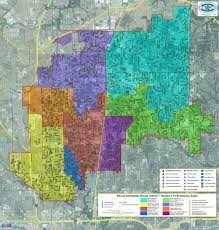 Need more facts about the Bond election? For more information about the 2014 Keller ISD bond package, visit www.KellerISD.net/bond. Early voting is October 20-31, 2014 and Election Day is November 4, 2014. Getting the News Out to You! 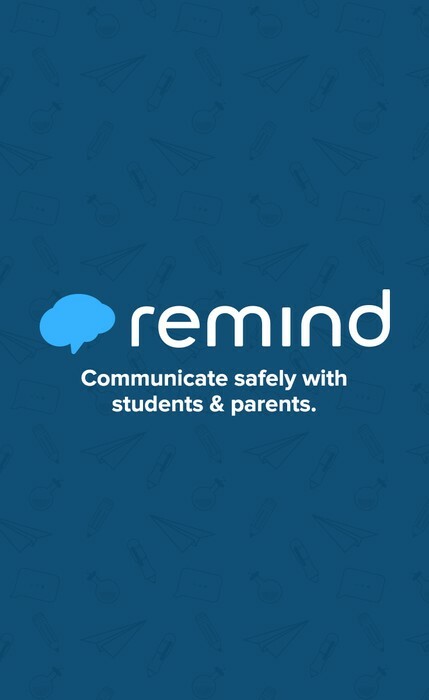 Remind 101 is now called "Remind"
Edmodo - This allow teachers to send out immediate updates, pictures and messages to parent groups. Teachers have the option to set up accounts with you after the school year begins so that you are able to stay in touch and communicate freely with your child's teacher. Once you sign up if you have more than one child in Keller ISD, all of your students' accounts will be listed under one parent account! 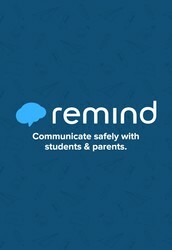 Remind - Are you interested in signing up for Remind ? It takes just a few minutes. To sign up for Keller Harvel Families notifications, please visit https://www.remind.com/join/kellerha If you've already signed up, you will still receive all text messages sent. If your family is moving next school year or you wish to opt out, instructions are also included. School Messenger - sends out an email and/or a voice mail with updates. 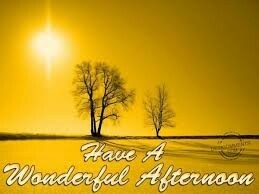 Keeping your email current is a must to receive messages. If your email changes, please be sure and give us a call. 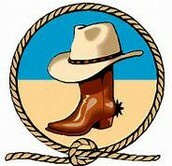 Facebook - like us on Facebook and see pictures, read updates, and/or events. You do need a Facebook account to see us. Once you have an account, just search for Keller Harvel - KISD. Twitter - If you have a Twitter account, start following us @KellerHarvelES. KHES Weekly Updates - these are sent out every Friday to keep you up to date on upcoming news and also includes reminders as well. New videos from the Texas Education Agency offer quick overview of the State of Texas Accountability System and its components. The videos are available in English and Spanish. Click HERE to go to their webiste or view either video below. At the elementary level, students in 3rd & 4th grade are given the STAAR test in the Spring. 3rd graders take the STAAR test in Reading & Math and 4th grade has a STAAR test in Writing, Reading & Math. Please be assured that our teachers are focused on grade level objectives and their lessons are written so that your child learns grade level content.